Domestic stock markets extended their gains to the third straight session, with Sensex and Nifty posting record closing highs on Tuesday. National Stock Exchange (NSE) benchmark index Nifty advanced 49 points, or 0.45 per cent, to end at a record closing high of 11,134 while the BSE Sensex rose 106 points to settle at 36,825. 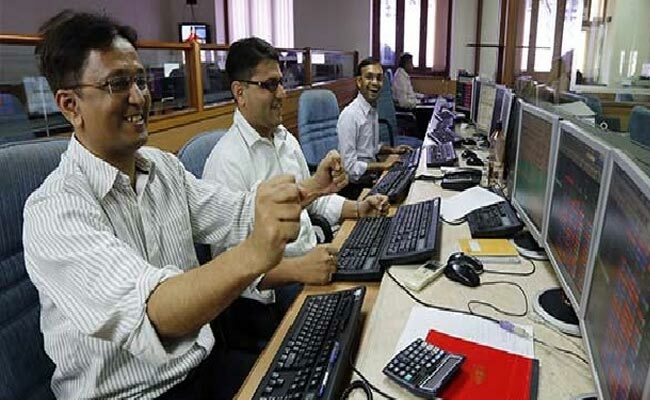 This marked the second day of the BSE Sensex registering a record closing high. The Sensex also hit a record intraday high of 36,902 during Tuesday’s session. Thirty two stocks on the 50-scrip Nifty index finished in the positive zone. Top gainers on the index included UltraTech Cement, Grasim Industries, Hindalco Industries, Indiabulls Housing Finance and L&T, closing between 3 per cent and 8 per cent higher. Gains were led by a sharp rise in metal stocks while auto and cement shares also supported the indices. Optimism on the earnings front continued to boost investor sentiment, according to analysts. The Nifty 50 surpassed its previous record closing of 11,130, recorded on January 29. The Nifty Metal, the NSE’s sectoral index comprising metal shares, closed 3 per cent higher. While Hindalco led the pack with a rise of 5.6 per cent, other gainers included Jindal Steel, Tata Steel, Welspun Corp, JSW Steel and SAIL, rising between 2.6 per cent and 4.7 per cent. Shares in conglomerate Larsen & Toubro closed 3.7 per cent higher, a day after its subsidiaries L&T Infotech and L&T Technology Services posted strong quarterly earnings. L&T Infotech’s net profit rose 35 per cent, while that of L&T Technology Services more than doubled in the April-June period. Shares in cement maker ACC closed over 13 per cent higher, after the company reported strong earnings for the April-June quarter. Auto stocks reversed losses with the Nifty Auto index ending 0.8 per cent higher. The index had shed 2.1 per cent in the last six sessions after the government increased the official maximum load carrying capacity of heavy vehicles. Maruti Suzuki India, Mahindra & Mahindra, TVS Motor, Eicher Motors and Ashok Leyland finished with advances of between 1 per cent and 3.6 per cent. UltraTech Cement, one of the biggest contributors to gains in the indices, rose 3 per cent. Credit ratings agency Icra said it expects the Reserve Bank of India’s Monetary Policy Committee to increase the repo rate to 6.5 per cent in the August review. However, given the lack of clarity regarding some of these risks, it may persist with the neutral stance of the monetary policy, to signal that the timing and magnitude of upcoming rate hikes would be data dependent, Icra noted. The central bank is due to release its third bi-monthly monetary policy statement for 2018-19 on August 1. Sustained foreign inflows and fresh buying by domestic institutional investors supported the stocks at record levels. Foreign portfolio investors (FPIs) net purchased shares worth Rs. 259.37 crore and domestic institutional investors Rs. 124.82 crore on Monday, according to provisional data from the NSE.